If you follow us on Instagram, you most likely are aware that we’re currently have a matcha moment. 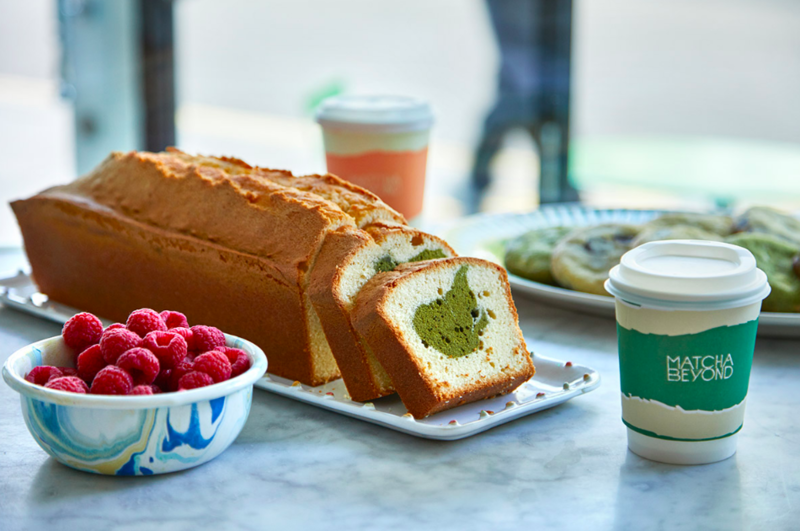 Lattes, cakes, cookies, you name it and we’ll try it – if it has matcha. 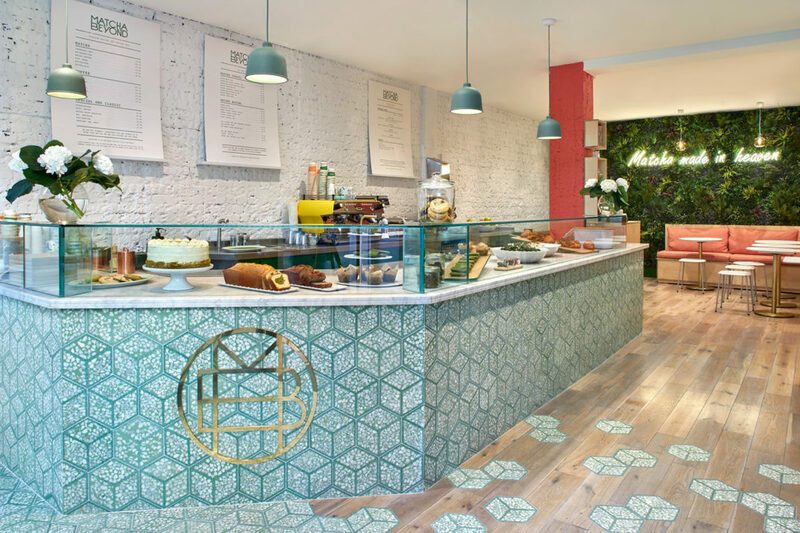 Thus, we were more than ecstatic to discover London’s coolest new Matcha gem – Matcha and Beyond. 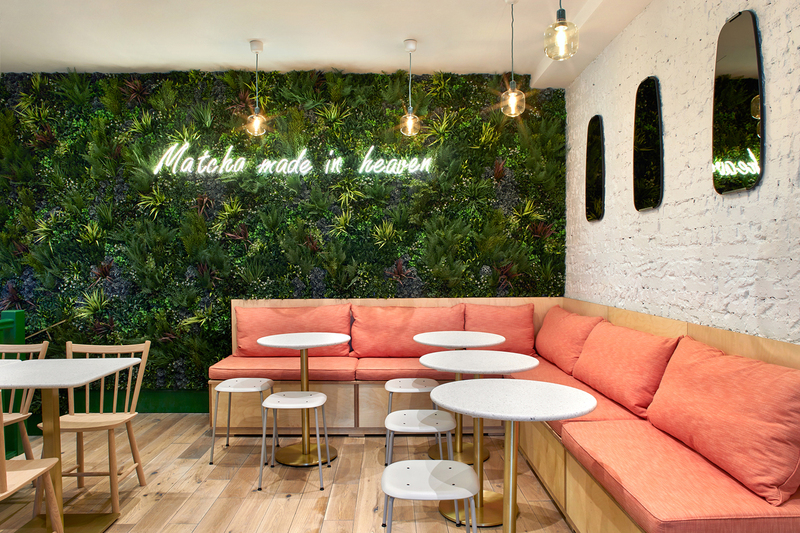 Tucked away in the vibrance of King’s Road (and placed right next to our other favourite, the Ivy Chelsea Garden), Matcha and Beyond is London’s ‘go-t0’ spot for all things matcha. From an assortment of delectable snacks and satisfying drinks, coupled with a cute and Instagrammable aesthetic, we’ve already become avid visitors of this new food concept. 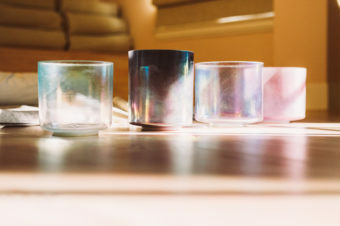 We recently sat down with the talented mind behind this concept, Olivia Nottin, to discuss her journey, the impact of social media and all things Matcha. Olivia: As a nutritional therapist, I used to have clients addicted to their unhealthy lattes (large double shot lattes with sugary milk and even sometimes addition of sugar or flavoured syrup), not feeling well because of the excess caffeine, sugar and additives. I advised them to switch to green tea in general and matcha in particular. A shot of matcha has the same sort of consistency and viscosity as a shot of expresso (but with so many health benefits) – you can then adapt your drink with more or less milk, no milk or just as a shot. The only problem I encountered giving this advise was that there were very few places in London where you could find a good quality matcha, well prepared and last but not least, without any added sweetener. Inspired by the success of matcha bars emerging in NYC and California, I decided to focus on 2 things: offering premium Matcha with complete transparency of the products and no addition of sugar. Olivia: I choose to recreate a coffee shop mirrored menu, experiencing matcha shouldn’t only be limited to just a latte. Personally, my favourite is the flat green a ratio of 1/1, which is stronger in taste than a latte but still has the nice comforting feeling of milky drinks. 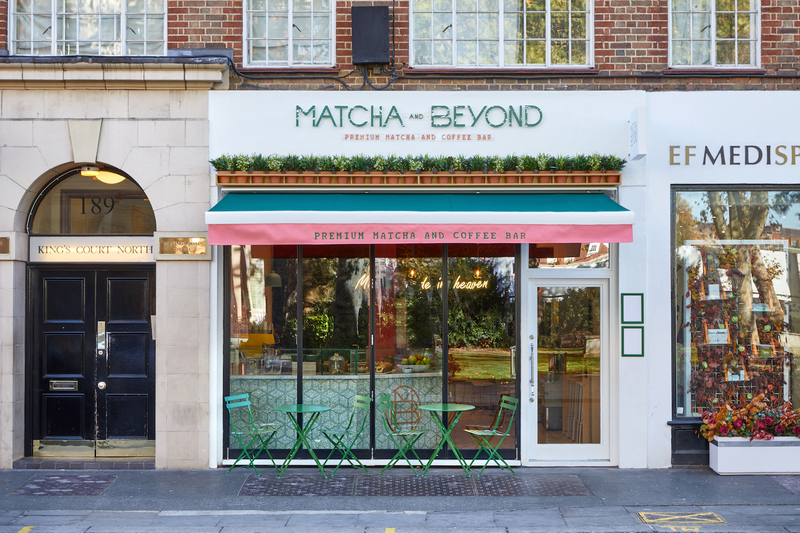 Olivia: Hugely, I was not only able to reach out to the matcha lovers all over London but also outside of the UK. I have customers visiting from overseas showing me a picture of our Green Velvet Cake (Definitely our star of Instagram, and, a firm favourite with our customers too!). During the week, my customers are regulars and mostly locals but over the weekend the scene is completely different, and customers are coming from different parts of London. Olivia: Waking up at 6am for my me -time of the day – 10 minutes meditation, 10 minutes indoor bike – 10 minutes Pilates – 10 minutes planning my day and picking out of my to do list the 3 most important ones to tick off by the end of the day. Then I head for the shower and get dressed. Depending on the day, I go straight to Matcha and Beyond to open up or I take my kids to school before going. Then my days are filled with the day to day little things, which make the cafe run. E.g. liaising with suppliers, organising the counter displays, brainstorming with my team for new ideas for the menus, etc. Most importantly I would say that half of my day is spent talking to the customers. This is one of the best parts of the job. I love meeting new people all the time, which leads my middle son to describe my job as chatting all day! I am generally home by 6pm and spend my time with my children (I have three). It’s important for me to be with them when they have dinner, do homework and reading and, if time allows, we try and squeeze in a game before bedtime. After that, I wait for my husband to come home from work, so we can have dinner together and talk about our days. Since we opened, I haven’t been taking so much me-time, but I intend to change that, as well as freeing-up more time for my family, who have been incredibly supportive, whilst setting up and opening Matcha and Beyond. 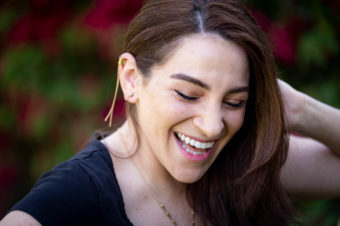 Olivia: This is a tricky one; I would love to see it thriving and open more cafes, but I am also conscious that if you speed things up without having set solid foundations, it is very likely that you could lose the authenticity and the essence of what made Matcha and Beyond a success to start with. Olivia: Forget you are scared and go for it! Probably the best tip is to find people you can rely on. This means team members but also friends that are not afraid to give you honest feedback and also professionals from the industry to give you valuable advice.